How to Buy Bitcoins with PayPal: Is there a Bitcoin Exchange? PayPal is a well-known payment system giant in the fintech world. Adored and used by millions of users who enjoy transferring funds via emails connected to their PayPal accounts, this system is still often negatively perceived by the Bitcoin community that envisions the company as a rival to Bitcoin and blockchain. Ironically, many people are searching for ways to buy Bitcoins with PayPal. Nowadays, we cannot imagine our lives without Internet browsing. However, it hasn’t been that way for ages. People didn’t know how to use computers, not speaking about proving personal information and linking cards full of money to the web. They used snail mail instead of emails. Now, think only how hard it was for PayPal in the early days to make people use their platform for transferring payments! No matter how obvious the advantages for that are, it has been something absolutely new, unknown, scary for people. It was a nonsense. However, here are we now, sending money as easy as sending an email. Thereafter, the era of digital currencies came. Except for geeks and early adopters, people didn’t believe that Bitcoin would be commonly used. We cannot say that every person knows about it and uses in the everyday life, but neither it was with PayPal or with the Internet in the early days. Still, from a small bunch of people dedicated to fascinating technology, cryptocurrency adopters league has significantly extended and continues to grow. The advantages of Bitcoin, among them speed, cost-efficiency, security, and non-reversibility, are something that bring Bitcoin to the masses. It seems like Bitcoin payments are technologically leaving services like PayPal behind and only wide adoption doesn’t allow Bitcoin and blockchain to win once and for all. The year 2014 has been full of headlines about potential partnership between PayPal and Bitcoin. Thousands of Bitcoin users were transfixed to hear that they can finally buy Bitcoin with PayPal legally, manage Bitcoin funds right in the PayPal account, and see the rise of Bitcoin prise caused by the trust to Bitcoin expressed by the largest payment system in the world. Early 2014, CEO of eBay, John Donahue, stated that PayPal was creating a wallet for multiple cryptocurrencies. Still, on behalf of PayPal, John has been very strict and self-respectful, saying that their company was good at payments, and thus, it is their decision of whether and when to do something with Bitcoin. Later on, in summer 2014, Mr. Donahue has once again emphasised that he envisioned integration of Bitcoin into PayPal services. This, however, was not followed by any specific timeline of presenting Bitcoin services for PayPal users. Established back in 1998, PayPal gained success by simplifying payments in the Internet. It was PayPal that made is easy as ABC to transfer money using email addresses only. Although PayPal now is an extremely large company, it still can perceive Bitcoin as its rival and danger for its business. Why? Because the nature of Bitcoin allows easy, instant, and, what’s more, cheap payments, far lower than those charged by PayPal. Decentralisation, which is another advantage of Bitcoin, is also appealing to large masses that are tired of money clustering by big guys from corporations, government, etc. 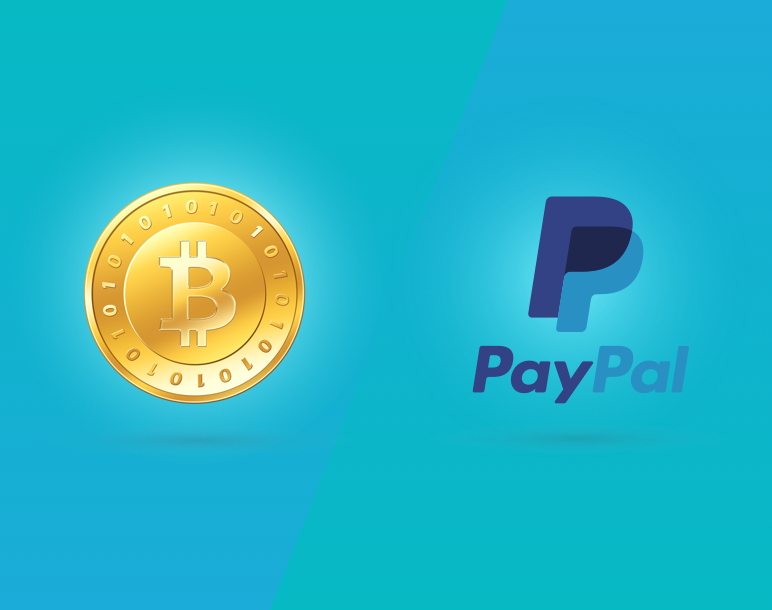 If we assume ways of Bitcoin and PayPal co-existence, there are several main options, namely: PayPal builds a wallet and allows its users manage Bitcoin funds inside their accounts; PayPal doesn’t integrate Bitcoins and improves its service to crash Bitcoins once and for all; PayPal develops its own digital currency better than Bitcoin. The latter could have been possible a year ago, when eBay, former PayPal parent company, has filed a patent to develop digital “gift tokens”, which might signal as a plan to create its own virtual currency. There’s no way to guess the mind of PayPal top management and their intentions What is doubtless, PayPal simply cannot ignore the rise of Bitcoin and blockchain technology, no matter what it eventually undertakes. Because millions of people have account on PayPal and are used to pay via this system, no wonder that lots of users are willing to buy Bitcoins with PayPal. Despite lots of rumours about PayPal adopting Bitcoin and integrating it with the network, none of them proved out yet. Therefore, there are no direct methods to purchase Bitcoin using PayPal accounts. However, there is still a way to make a PayPal-related purchase of Bitcoins, and here’s what you can do on CEX.IO Bitcoin exchange. In fact, you can link any Visa/MasterCard to your profile on CEX.IO for easy deposits and withdrawals of your fiat money. This card can be linked to your PayPal account as well. Therefore, when you use the same card to eventually purchase Bitcoins. What’s more, you can use your PayPal Debit MasterCard or PayPal Extras MasterCard to buy Bitcoins using funds from your PayPal account. Linking a card on CEX.IO is absolutely easy. All you need to do is provide standard information about your card (cardholder’s name, name and the last name of person on behalf of whom the payment is processed, card number, expiry date), upload photos proving your ownership of the card (selfie with a payment card and photo of a payment card next to an ID), enter CVV/CVC, and pass verification by small charge amount. 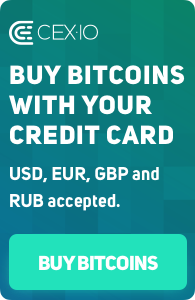 After the card is successfully linked to your CEX.IO account, you can use it to buy Bitcoins on the exchange. You might also want to make a reverse transaction and withdraw Bitcoins to PayPal. In this case, you can just use CEX.IO as a platform to sell your Bitcoins, either via simplified interface, or on the trade page. Thereafter, you will have some fiat money (USD, EUR, RUB) on your balance, which can be then used to instantly withdraw funds to your credit card, which is, in its turn, linked to PayPal account. Once your Visa/MasterCard is linked to CEX.IO profile, you can use it to automatically withdraw funds and use them on the card connected to PayPal account right away. To do that, there is no need to log in to any third party services or provide information about the card once more time. All you need to do is choose the amount to withdraw, confirm the transaction with 2FA code, and that’s it. Once again, you can use branded PayPal Debit MasterCard or PayPal Extras MasterCard for withdrawals on CEX.IO Bitcoin exchange.